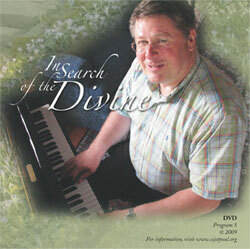 The fifth edition of In Search of the Divine features Fr. Jan Michael Joncas who talks about composing music (including “On Eagle’s Wings) and his life-changing experience with Guillain-Barré syndrome; Sister Ansgar Holmberg, CSJ’s gouache (tempera) ‘art-of the heart’; and how the power of touch changed Sister Rosalind Gefre, CSJ which, in-turn, revolutionized the field of massage. Request a copy or make a comment about this program. The following are brief clips from episode #5 of In Search of the Divine.